Scafell Pike is the highest mountain in England and is situated in the Lake District National Park which contains some of the most beautiful scenery in the world. Since time began the surrounding landscape has provided inspiration to poets such as William Wordsworth & Samuel Taylor Coleridge. Even the Roman Empire ventured to these parts leaving many tell tale signs. Scafell Pike, with its huge crags and vast summit plateau, should be on everyone’s bucket list. 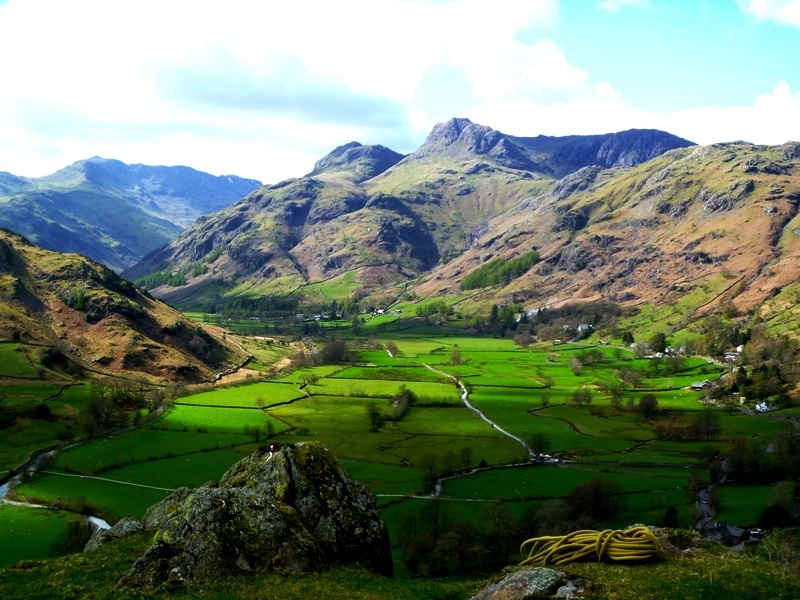 Not because it lays claim to the highest land in England, but because it has a unique and rugged quality. The 360° panorama from the summit on a clear day is stunning, with far reaching views over all the Lakeland fells and as far as the Isle of Man, Scotland and the Fylde coast. Scafell Pike is a huge block of a mountain formed through time firstly by volcanic eruptions and more recently by frozen glacial processes, to produce peak, plateau, and precipice. The various rock types include: tufa; breccia; andesite; and rhyolite. These came into existence around 450 million years ago whilst Scafell Pike was still an active volcano. 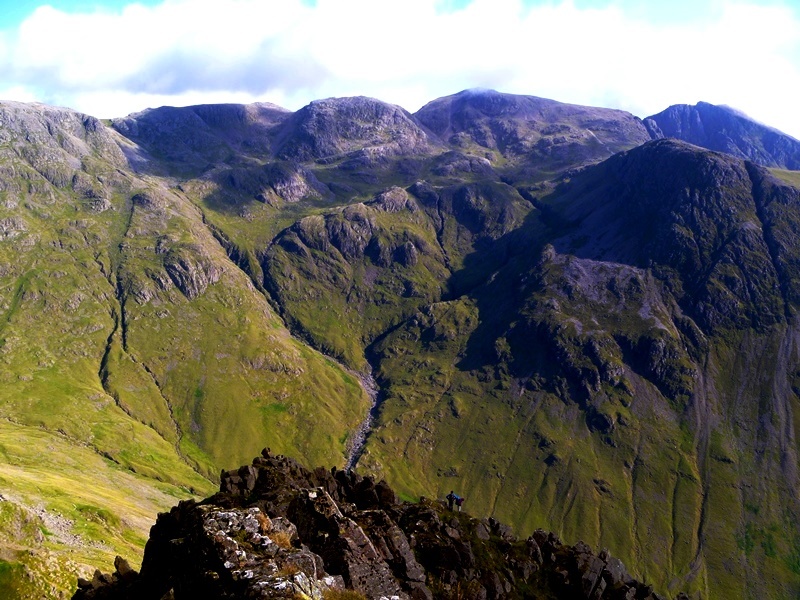 Much of Scafell gives the appearance of large jumbles of rock & boulders. This is a result of more recent Ice ages, with glacial debris evident at many locations. The ongoing freeze / thaw processes continue to break up the rock making this an ever changing landscape. 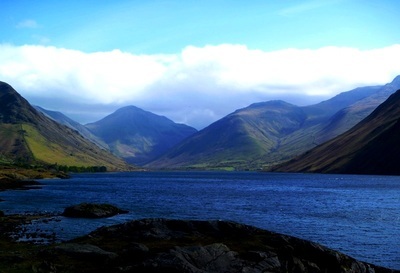 Deepest lake in England – Wastwater, lies at the foot of Scafell and is approximately 80m or 258 feet deep. Smallest church – lies below Scafell in Wasdale. It gives the appearance of being slightly sunk into the ground and is sheltered by surrounding trees so not easy to spot. 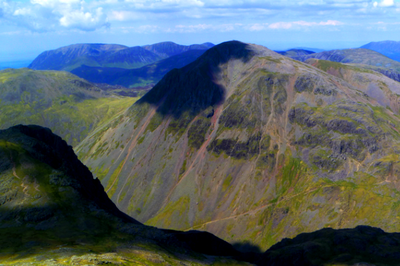 Scafell Pike – pronounced ‘Scaw fell’. 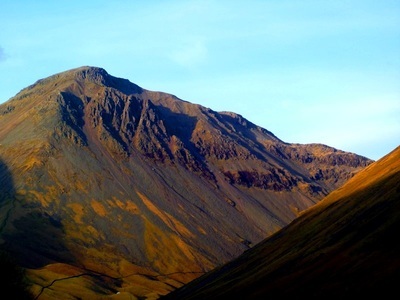 Its name comes from it once being one of the 3 ‘Pikes of Sca Fell’ (Scafell Pike, Ill Crag and Broad Crag) – Sca Fell being its neighbour and once thought to be higher than Scafell Pike. It was only in the early 19th century when the mountain was measured, that Scafell Pike was declared the highest mountain in England (previous to that it was believed to be Helvellyn at 950m).